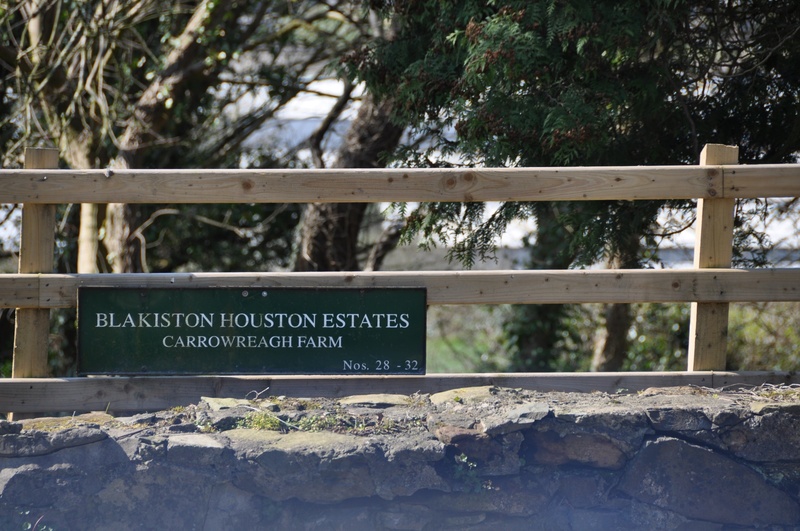 Carrowreagh is the name of 33 townlands in Ulster and Connaught, but for this post I’m exploring the one in Dundonald, County Down. This townland covers a large, mixed area. Residential streets sprawl across the first third of Carrowreagh, and are, confusingly, part of Ballybeen Estate. 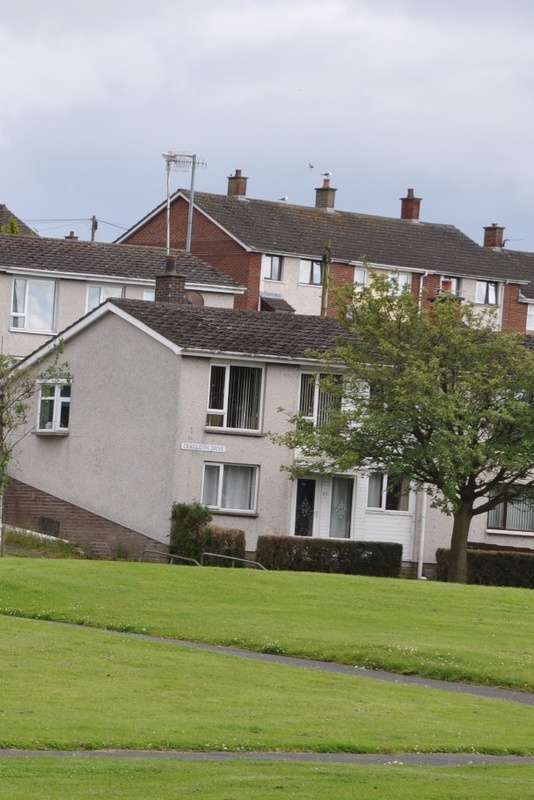 A school stands next to the housing estate, but it doesn’t bear the townland name. Carrowreagh school disappeared when it amalgamated with Ballyoran to form Brooklands Primary School in 1985. The middle third of the townland is the trading and business hub. Again the townland names cross over, with a street called Ballyoran Lane in Carrowreagh townland. 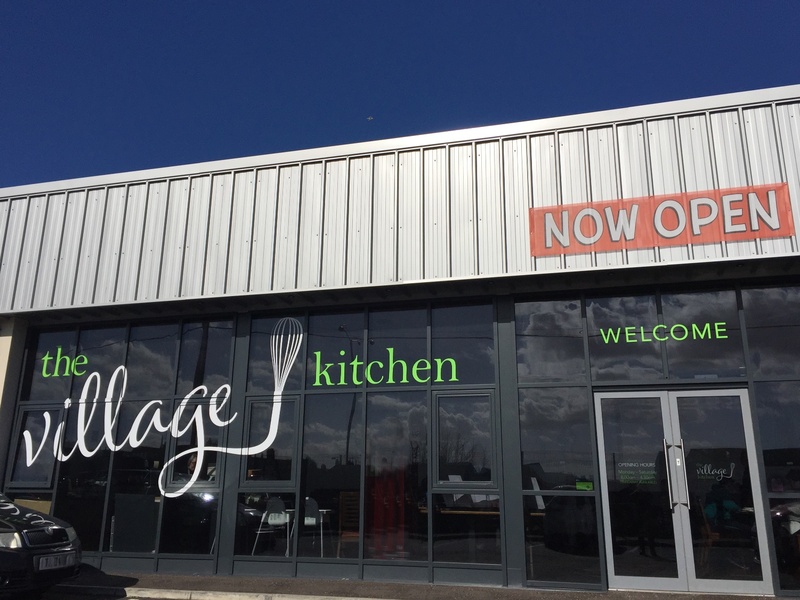 When I need to clear my head of townland confusion I relax and my friends’ café – the Village Kitchen. The final third of Carrowreagh is hilly and rural. 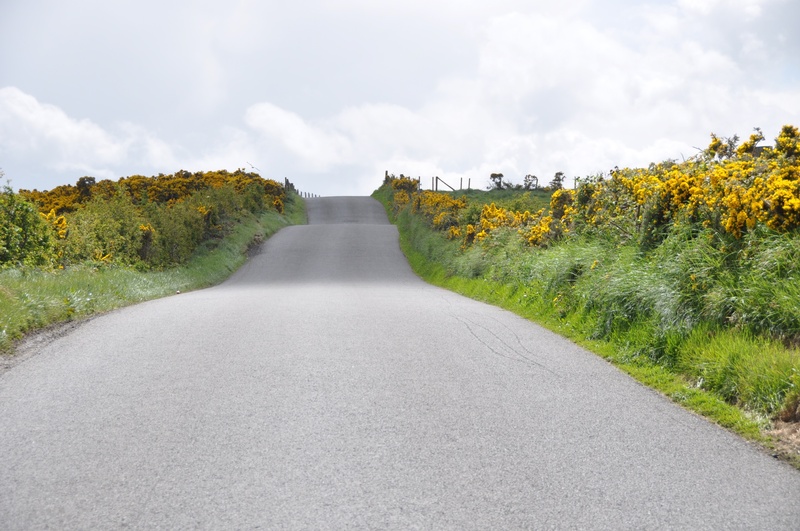 Here are two photos of the top of the Carrowreagh Road, showing the explosion of blossom in the gorse between the beginning of April and the end of May. 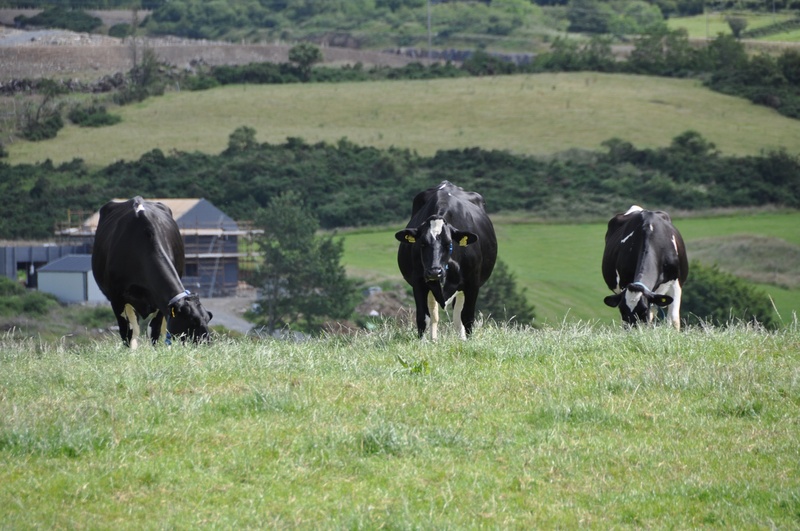 The hills are home to sheep and, in early July, these cows. Some of the land on this hill is owned by the Blakiston Houston Estates. Click here to read more about the Blakiston Baronets, and here to read an extract from the memoirs of Lieutenant-Colonel John Matthew Blakiston-Houston. According to my usual source, the PLACENAMESNI website, the name Carrowreagh derives from the Irish An Cheathrú Riabhach meaning “the grey or speckled quarter(land)”. I went in search of grey or speckled things, and found this fence. 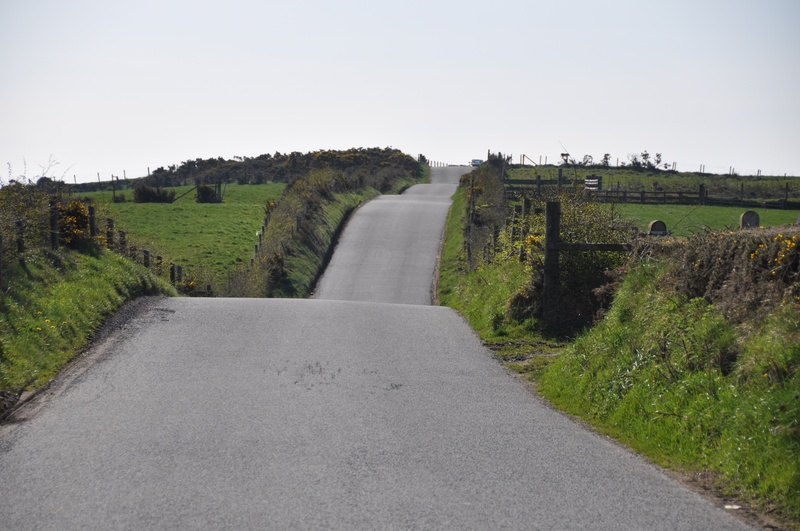 Which townlands border Carrowreagh? Ballybeen, Ballyoran, Craigogantlet, Dunlady, Greengraves, Killarn. Which parish is Carrowreagh in? Dundonald. Which county is Carrowreagh in? County Down. 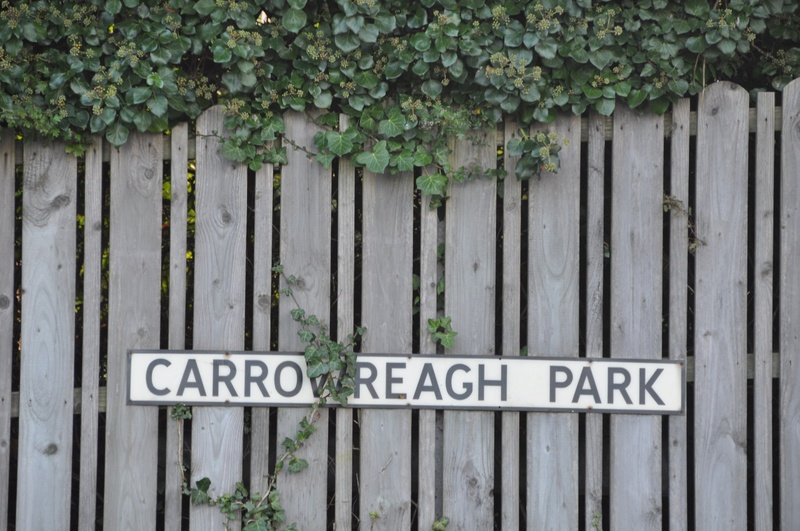 CLICK here to see a map of Carrowreagh on the PLACENAMESNI website. Yes, if you have strong legs. The hill is steep, but the views from the top are spectacular. It seems a bit odd having 33 speckled grey quarters. Could there be a different derivation? It’s been raining all day. I have no difficulty believing that this whole island is grey.